When you look at the nominations for Best Director 1958 and compare them to the film releases of 1958, you have to wonder what the hell the Academy was thinking. There are enough great non-English releases to make a complete slate of movies that would certainly be worthy in terms of direction for this year, starting with Louis Malle and Elevator to the Gallows. Similarly, Satyajit Ray’s work in The Music Room and Andrzej Wajda’s directorial performance for Ashes and Diamonds rank among the year’s best. On the same foreign language front, Youssef Chahine and Cairo Station is probably the biggest miss, while Jacques Tati and Mon Oncle is probably the biggest stretch. But really, we don’t need to go here when Alfred Hitchcock was ignored for Vertigo and Orson Welles was skipped over for Touch of Evil. Seriously, what the hell, Academy? 5. I know what you’re thinking, and while there’s definitely a temptation here, I’m not putting Gigi in last place. 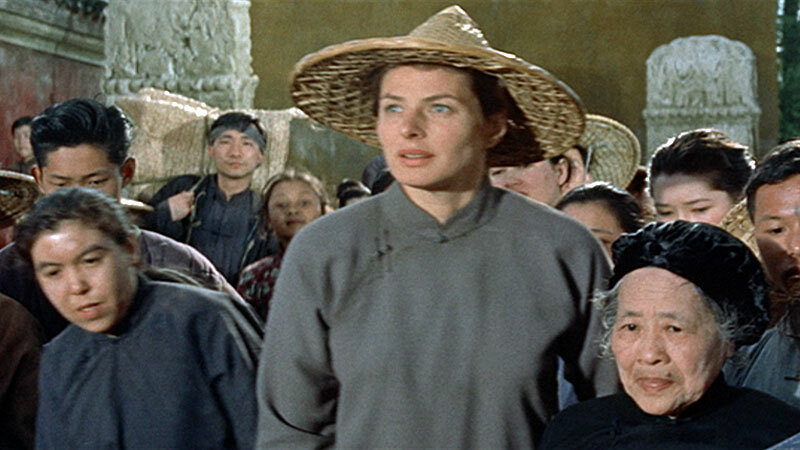 No, I’m going with Mark Robson and Inn of the Sixth Happiness for the bottom spot. Beyond the whitewashing problem, the issue I have with the film is that it spends entirely too much time on a romance that isn’t that great and not nearly enough time on the long journey to escape the Japanese invasion. The film is too long and focused in the wrong place. Sure, that’s partly the screenplay’s problem, but Robson should have dealt with it better. 4. Of these five movies, Cat on a Hot Tin Roof is probably the best actual movie and almost certainly the one with which I’m the most impressed. So why is it fourth? Because no matter how hard Richard Brooks tries, he can’t hide the fact that this is based on a stage play. All the effort in the world doesn’t turn this completely into a movie, and that has always been and remains a problem for me. Some of the dialogue simply doesn’t work, and Brooks can’t completely separate this from the stage and into its own entity. 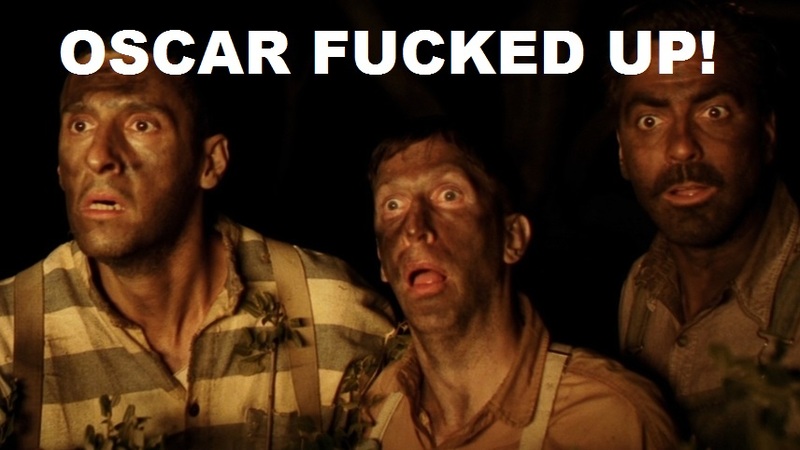 It’s a great film in many ways, but this is its weakness. 3. 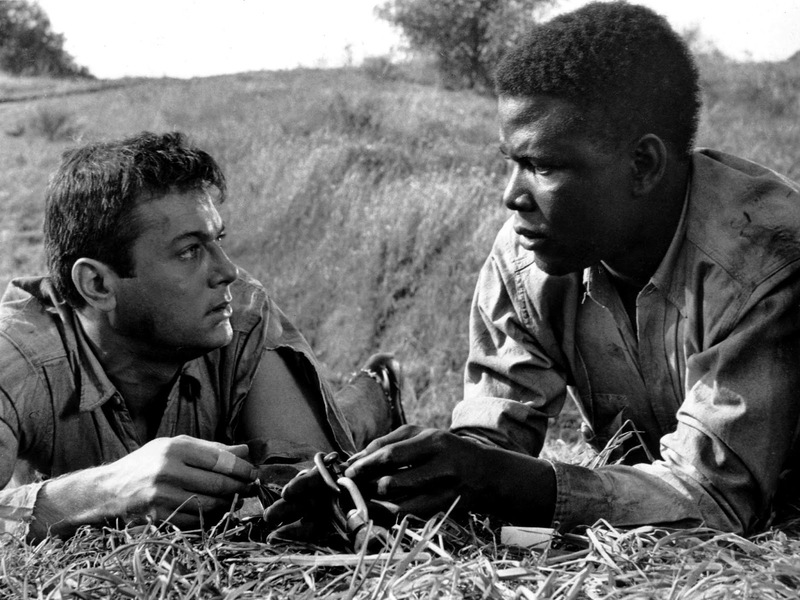 There’s a great deal to love in The Defiant Ones, and Stanley Kramer’s direction is a part of that. I love that this movie feels so much like a film noir without really quite being one. It has that same vibe to it, though. I seem to be the only blogger who has ever classified the film in that way, and that noir-esque feel to it is something I genuinely like about what Kramer brought to the production. 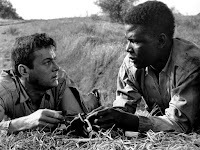 As good as Kramer was, though, the film is really all about the performances of Tony Curtis and Sidney Poitier. I like the nomination pretty well, but I won’t give it the win. 2. I really hate Gigi. I find it disturbing, creepy, and unpleasant. But, as much as I want to hate everything about it, I have to give credit to Vincente Minnelli: it’s beautifully directed. There is a great deal of style here, and while the story itself is reprehensible and immoral in almost every respect, it is gorgeous and wonderful to look at. I kind of hate that it is so beautiful because of this—I really want to hate everything about it. 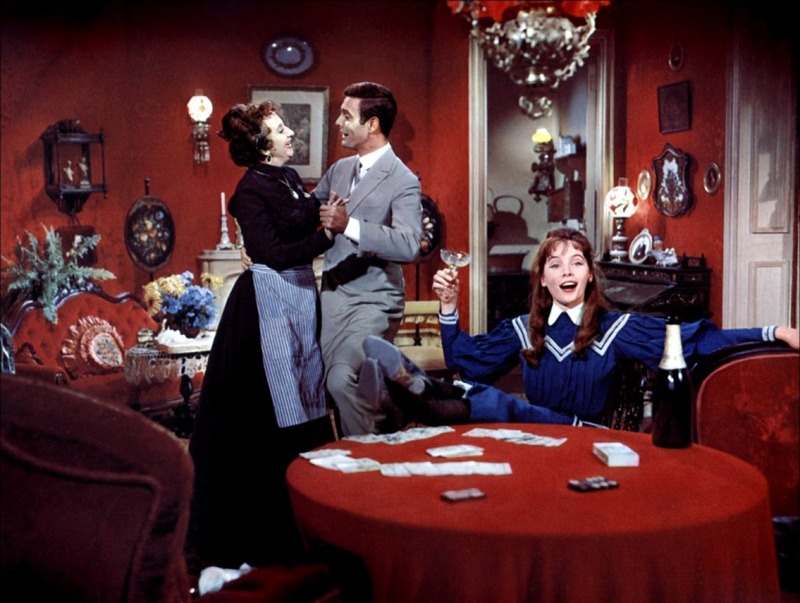 Based on the nominations, I understand Minnelli’s win, because the story (such as it is) is told with such style and beauty. I hate the movie, but credit where credit is due. I understand the win even if I don’t agree. 1. Even limited to the five nominations, handing this to Robert Wise for I Want to Live! seems strange on the surface. Wise’s nomination almost certainly came not for the dynamite performance from Susan Hayward nor because of the film’s moral ambiguity. 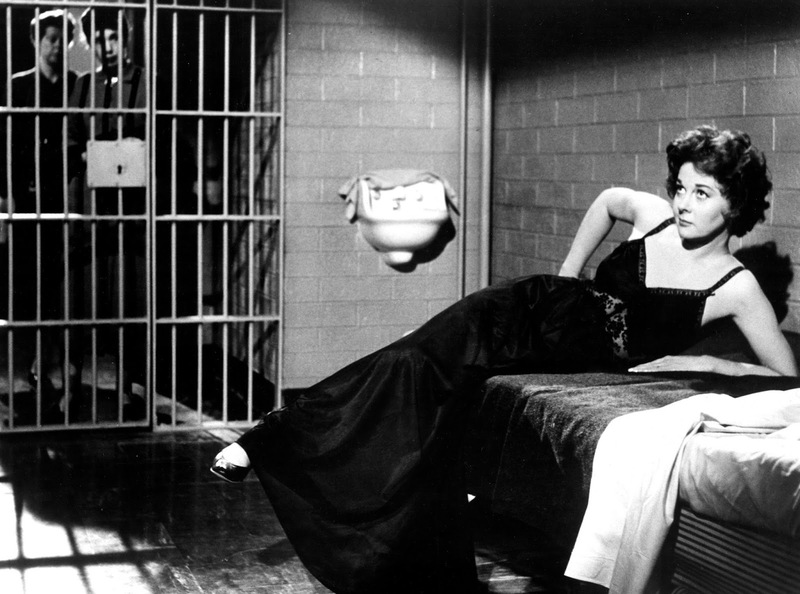 No, Wise earned this nomination almost certainly for the closing half hour of the film as our morally dark gray protagonist awaits her execution, with each tick of the clock, each potential stay, each moment closer to the gas chamber causing that tension to inexorably creep up to the breaking point. This is all on Wise and it’s damn near perfect. He’s my winner for the nominations, but not my winner. Seriously? To have both Hitchcock’s insane work in Vertigo and Welles’s monumental Touch of Evil ignored here is almost criminal. Both films are still frequently cited as masterpieces of the cinema, and both of them are absolutely central to the canon both of their creators and of film in general. I won’t pick between them. I’ll only say that both of them should be here, and both of them deserved to win. Having both of these directors snubbed for these films borders on the offensive. I see your point about Minnelli but this is the genre in which he always excelled and the story is just too icky for me to forget about it and be glad he won. Personally I won't place any of these in contention but out of this quintet I'd go with Brooks for Cat. I don't think any director could have removed that feeling of it being a play, even if the whole thing had taken place in a field it still would have felt like a play and Brooks does about as well could possibly be done. I do however agree with your observation about Wise and that agonizing last portion of I Want to Live! But the exclusion of Welles and Hitchcock-I'm personally not very fond of Vertigo but it is a masterful piece of filmmaking-is so wrong headed it boggles the mind. Glad you mentioned Elevator to the Gallows which is a supremely taut work and something that should have been an easy in. I'd add Roy Baker's involving direction of A Night to Remember giving the film a documentary feel while still pulling you into the individuals plight. Also the seeming master of every genre he was handed Michael Curtiz for his work on Elvis's best movie-King Creole. 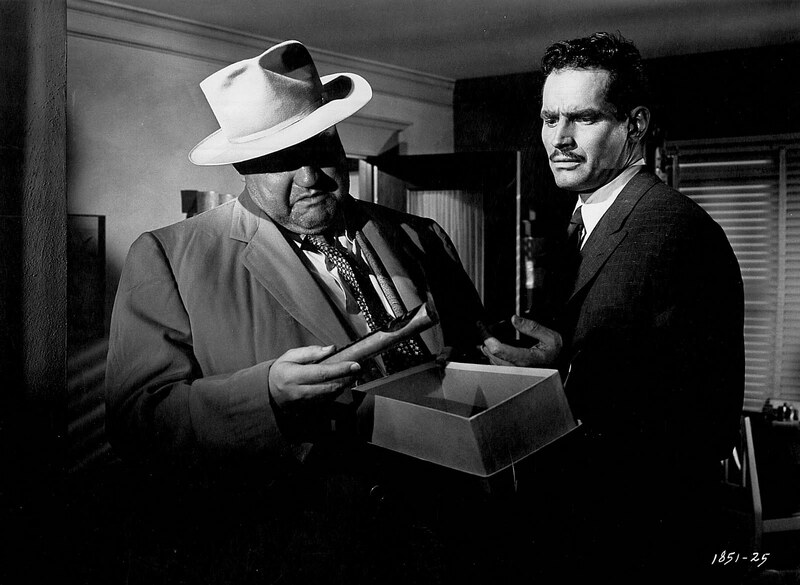 But Welles would be my easy winner, except for Heston Touch of Evil is damn near flawless. I agree on Touch of Evil and Heston, whose character was originally supposed to be white. 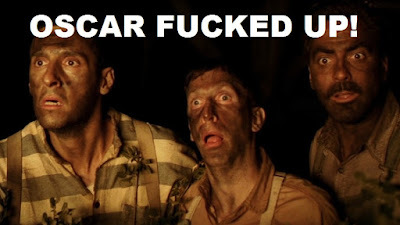 It's a misstep in an otherwise amazing film. Just that opening shot is worth the price of admission. I'm happy to know I'm not alone in finding Gigi really nasty and wrongheaded. It's a beautifully made film, though, even if the story is awful and the characters are ultimately pretty vile. And you're probably right on Brooks. He does do as much as he can, and I wasn't entirely comfortable putting him in fourth. It's not his fault that the play doesn't port over to film that easily, but it is still his responsibility. This award should have gone to Welles, period. None of the things that may be wrong with that movie, and there are not many, has to do with direction. I don't have any issue with that statement. Haven't seen A Touch of Evil so Vertigo would be my winner. What a masterpiece. I haven't seen Gigi, either, but now I'm really (morbidly) curious about how icky it could be. 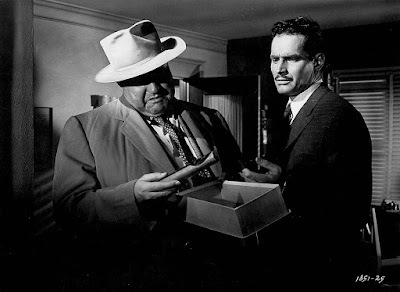 So, first of all, you really need to see Touch of Evil. Second, Gigi starts with a man in his late-60s singing "Thank Heaven for Little Girls" to someone a quarter of his age. If you can get past the almost pure, uncut pedophilia vibe of that, you might enjoy the movie. Sounds like it has a lot of the same issues as An Education which I hate. Yes, but more so. I didn't like An Education, either, so it's nice to finally have someone who agrees more with me on that film. Gigi isn't just cradle-robbing, though. It involves a pair of spinster aunts more or less teaching their niece how to whore herself out so that men will give her jewelry. No lie--that's the main set-up. Upon its release Vertigo received mixed reviews at best and was considered a commercial disappointment, and a drop in form compared to Hitchcock's recent releases. Hitchcock himself stated that he thought Stewart was too old for Novak, and that this contributed to the film's lacklustre performance. The Academy was well aware of Vertigo, and nominated it for two technical awards (Art Direction and Sound). It just wasn't considered very good otherwise. The re-evaluation started ten years later in 1968, and Vertigo made the Sight and Sound list for the first time in 1982. It's just one of those films that grew in stature decades after its release. True, and in that respect, it's a little more understandable. But the snubs for Touch of Evil were purely about the fact that the Academy had decided that Welles could do nothing right, so he was consistently ignored despite being a master at this point in his career. Agreed...Welles was considered an outsider and the Hollywood elite never cared to celebrate his work. They finally got around to giving him an honorary Oscar in...1971. To be fair, he did win one for the screenplay of Citizen Kane.